"It's the things you don't expect that make you prove yourself." Hanna Keith married her high school sweetheart, Garrett Lewis on May 21. It was a date she was determined to keep despite the fact that, less than a year ago, she had been diagnosed with breast cancer. The couple wound up choosing a plastic surgeon in addition to all of the other (much more fun) choices they were making together. Hanna was diagnosed with breast cancer in June of 2015, after she sought routine care for stress fracture in her foot. 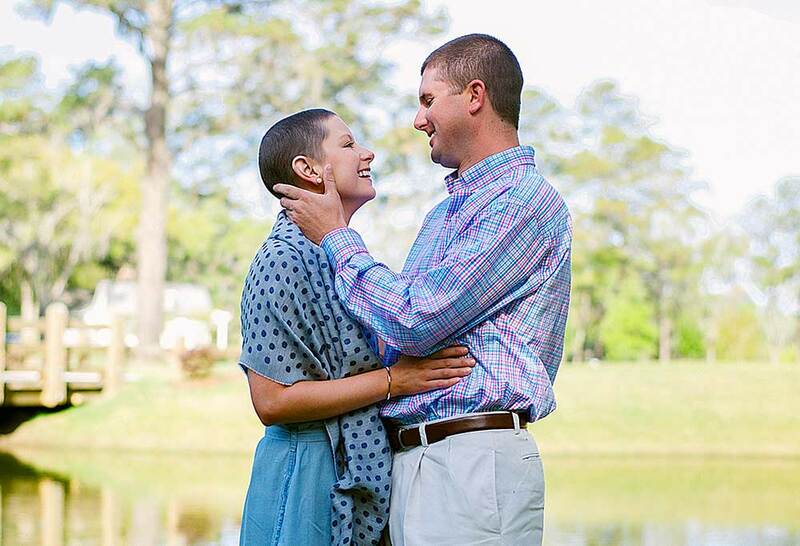 Her primary care physician is an ortho-oncologist as well and suggested a mammogram, especially considering her history… As many in her hometown of Jesup, Georgia know, this would not be Hanna’s first battle with cancer. Hanna was 12 years old when she was diagnosed with bone cancer (osteosarcoma). Following resection of a tumor in her leg, she endured chemotherapy and whole-body radiation, inspiring an entire community with her faith, her courage, and her good cheer. When it comes to choosing a plastic surgeon, you want someone you can trust and feel confident and comfortable around. After three months of chemotherapy, Hanna underwent her final surgery on December 30. She started back to school in the New Year, all the while planning her wedding, including a gala reception on Garrett’s family farm. The new Mrs. Garrett Lewis will graduate from nursing school in December. Click here to see pictures from the wedding. Know your surgical options when it comes to breast reconstruction, including the DIEP Flap.